Why Take the City Center Half Day Private Walking Tour? 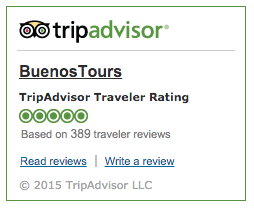 This tour is perfect if you want a comprehensive yet concise view of Buenos Aires! The City Center tour covers many of the must-see attractions up-close in the historical heart of BA, the barrio of Monserrat, providing an introduction to the fascinating history, architecture and culture of this great Argentine city. 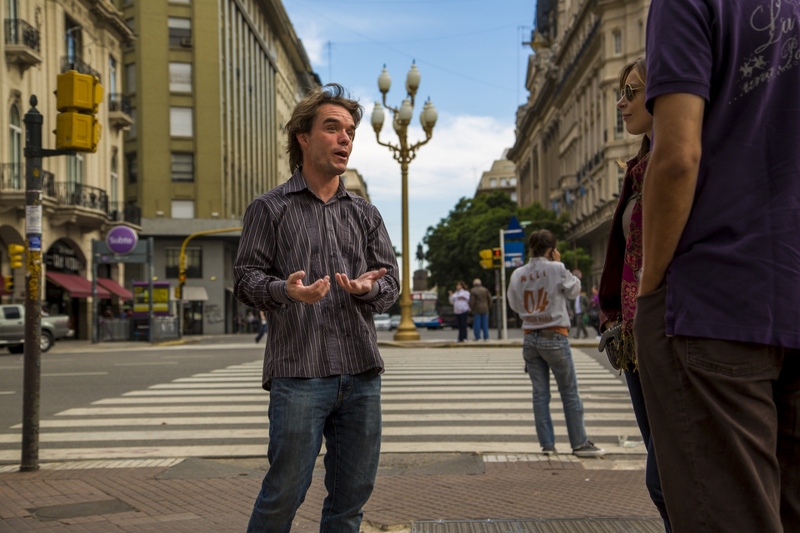 Walking the center of Buenos Aires with a guide allows for a simple and sensible navigation of the crowded downtown streets, helping you make the most of your visit. 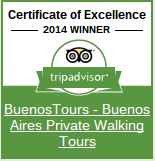 “Excellent way to see Buenos Aires. Jessica from BuenosTours took me on a three-hour walking tour that covered the founding of the city to the present day. Click Here to Book this City Center Tour Now! • The main square of Buenos Aires (Plaza de Mayo) where the city was successfully founded in 1580 & from where it began to grow. • The Pink House (Casa Rosada), the president’s office & executive government, and home to the famous balcony from where President Juan Domingo Peron & first lady Evita used to address the crowds. • The oldest sites in Buenos Aires, including the first church, street and business in the city, plus the oldest subway line in the southern hemisphere. • A midway coffee break at the oldest & most beautiful cafe in Buenos Aires (Cafe Tortoni), THE cafe in a city of cafes, founded in 1858, with much of its wonderful original interior still intact. • The widest avenue in the world (Avenida 9 de Julio), home to the famous Buenos Aires Obelisk monument. • The Manzana de las Luces, the oldest block of buildings left standing in the city, home to a beautiful 17th-century Spanish courtyard. • The first “grand boulevard” of Buenos Aires (Avenida de Mayo), dotted with architectural gems waiting to be discovered. • The Buenos Aires Cathedral, last resting place of Argentina’s independence hero, and where Pope Francis used to give mass. • You get approximately 3 hours with your guide from the walking tour start point to the tour end. As stated on our FAQ, we will meet you at your accommodation (within the city of Buenos Aires) to accompany you to the tour start, usually by taxi, or for most larger groups, MPV/people carrier or minivan. Or if you are staying very near our start point, we’ll walk with you there. The cost of any transport needed at the start of the tour is already INCLUDED in the total price of the tour. • Your total time on the tour will be somewhere between 3 to 4 hours. This estimate factors in transport time to the start of the tour, so depends on the location of your accommodation & traffic on the day. • You could choose to extend this tour by one hour to include the bohemian neighborhood of San Telmo at the start of the tour. To do so, you would book your tour using this link (instead of the other links elsewhere on this page or the calendar below). There may also be other possible tour extensions, just ask if you have something in mind! We recommend starting between 9am and 10am, or between 2pm and 3pm. However, feel free to select another start time during the booking process if you prefer. After you have selected your date below and then start time, you will be guided through the online payment process to book your tour.